Alpine White with Pale Ocean-Pewter Rustic Linen Throw Blanket - 50x60? Closeout. 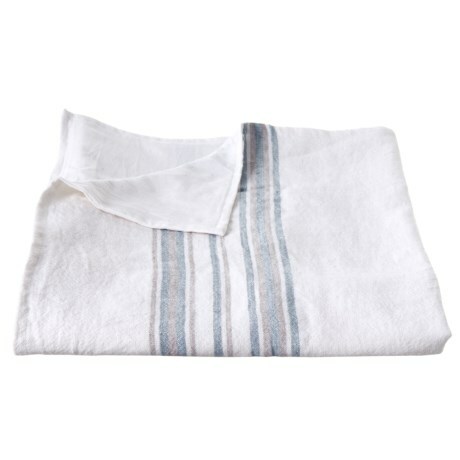 Coyuchiand#39;s Rustic linen throw blanket delivers cozy comfort and vintage style to your living space. Available Colors: APLINE WHITE W/PALE OCEAN-PEWTER.